Totally agree with all . . . Albannach Raqs!!! I too saw them first at Hoggetown (Gainesville) and was blown away by the energy and power of the drums! And since drums have always been my favorite since I was about 10yrs old, it didn't take a rocket scientist to know I was going to fall in LOVE with this band!!! We saw caught them the following year at Hoggetown, missed them by a week in Maryland (my son got to experience them though) was surprised to see them this year in Deerfield, FL . . . just saw them in Jacksonville, FL - and hopefully will see them again in 2wks in St Augustine, FL at the Celtic Festival!!! Comments: First heard the Nach in Gainesville,FL, bought this cd now the Nach is back rockin Florida whoohoo! Comments: I got to see them in Pleasanton this year- the energy was amazing! I downloaded thier cd's about a month beforehand and listened to them on the drive up to Pleasanton. Comments: Any idea what the shipping time on the CDs are? I ordered on the 22nd of Sept and nothing yet. Maybe I'm just being a bit ancy but I see they ship from the UK and I don't have any idea how long that takes. I guess that if I don't hear after the 28 days I get to email them. The music really helps my work out time go by faster!! Comments: Love this music, love the band...recommend them to EVERYONE.!!! . . Comments: Do you know - is this their only album? Comments: It's a wonderful CD . My favorite song is Ancestors, sung by Jacquie Holland . She is an amazing woman and I am thankful my husband and I were able to meet her . We wish her and the band continued success ! They are each very talented musicians . Want to write a review about Albannach's Albannach album? Post your comments in this box to be displayed in our community forums and in our album database! Please make sure you are logged in before proceeding. 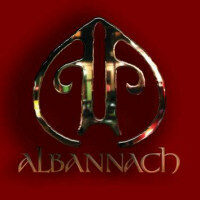 Please login to write your comments about Albannach.